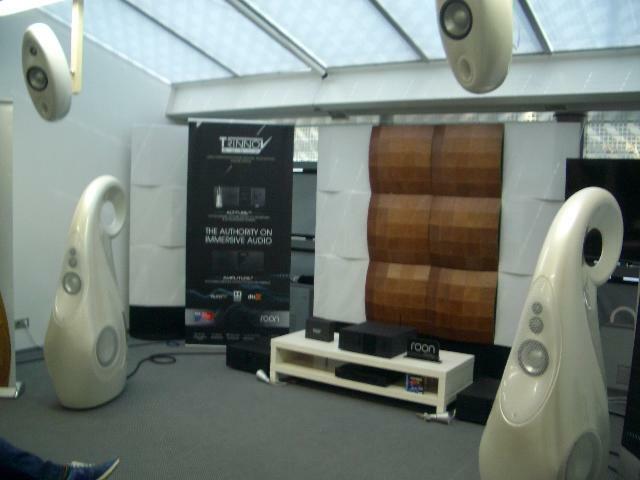 This very famous French loudspeaker maker exhibited in a big space, shared with NAIM, another name in Hi-Fi: you may have heard that the two companies have merged, not too long ago. I’m sorry I couldn’t shoot any decent photos of Naim gear. 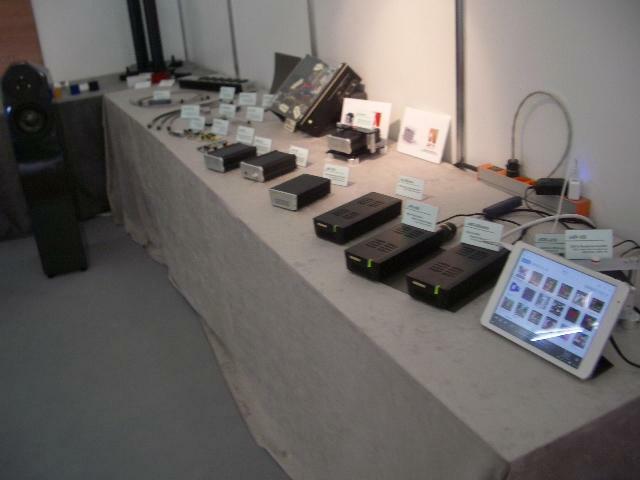 They exhibited lots of machines, almost all dedicated to computer music and personal listening. 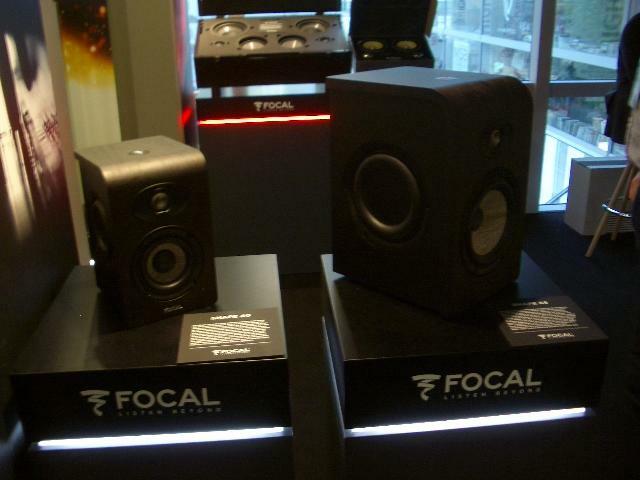 So, let’s move on to Focal. Let’s start with an example of the options available for the look of their loudspeakers’ cabinets – something this brand has always cared about. 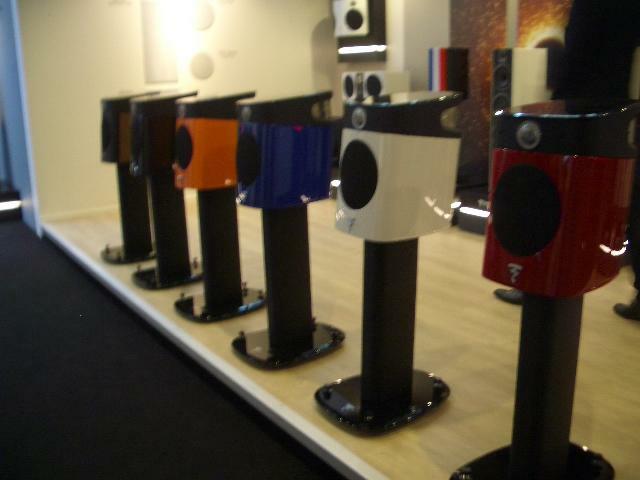 Focal loudspeakers are not always big: here we have their Shape range of active loudspeakers. 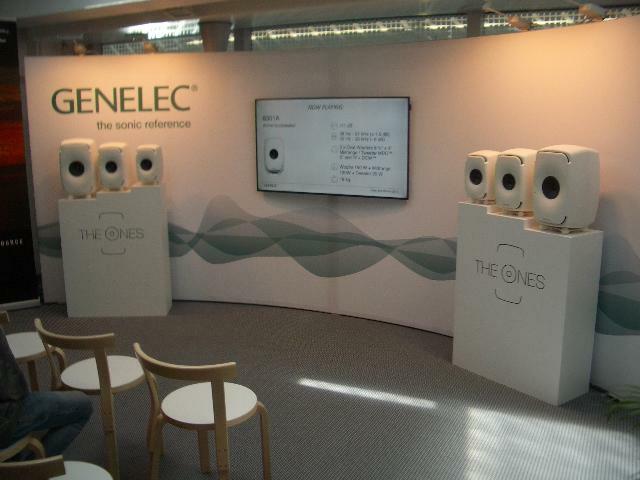 Speaking again about loudspeakers, and following an alphabetical order, I’d like to urge you to listen to THE ONES by Genelec. As usual for this brand, mainly focused on professional gear, those are active loudspeakers, with both analog and digital inputs. 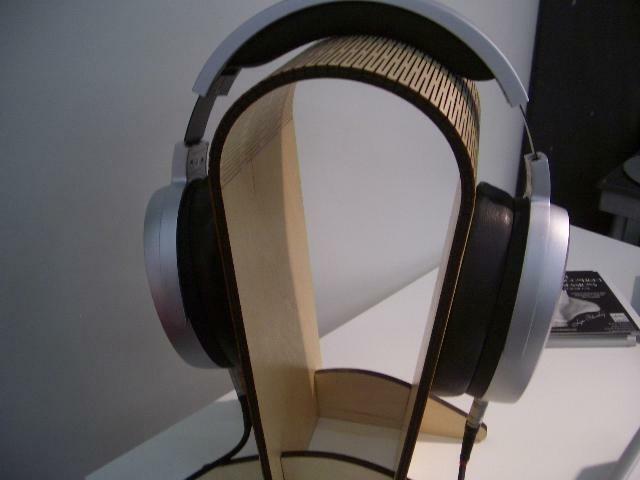 But wait: there’s more… First, they sport a waveguide-loaded coaxial driver for the midrange and the treble. 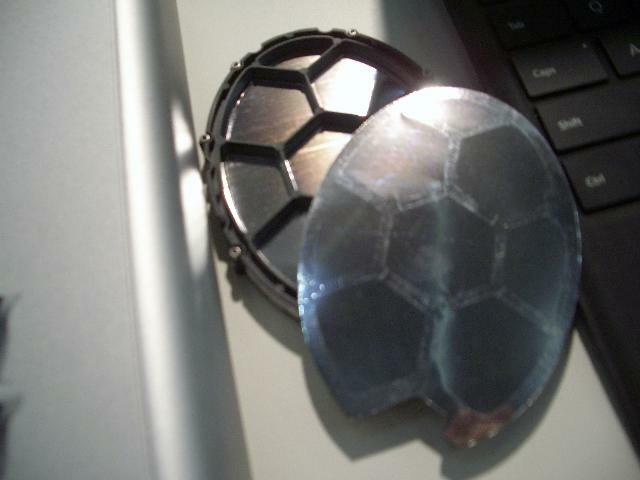 Then, they have an inner-firing double woofer with laminar exhaust port. Moreover, their amplifier is DSP-driven; plus, they can digitally daisy-chain up to five loudspeakers, to perform a digital multichannel setup. Moreover, their response can be adjusted depending on their room placement, via a proprietary software… Summing up, a really well engineered product, coming from people that usually work to provide simple and efficient solutions to give proper sound to music production rooms, mixing rooms, etc. As customary for Genelec, they offer lots of technology for prices that, albeit not low, are certainly affordable, especially if you consider this speaker system includes an amplifier, dac, dsp, room eq. 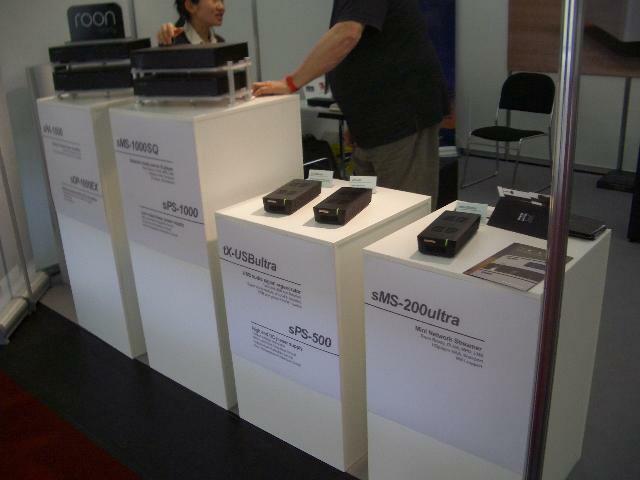 LAN interface and much more – the three models in the picture cost EUR 4.500, 5.500 and 6.300. 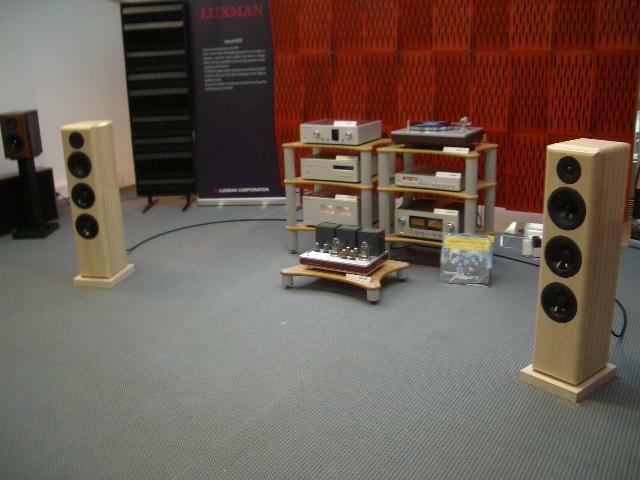 This was a decidedly well-sounding system, consisting of electronic gear by Luxman, another historic name in HiFi. This Japanese brand, after a quiet period, is gaining visibility again, now collecting positive reviews in several specialized magazines. 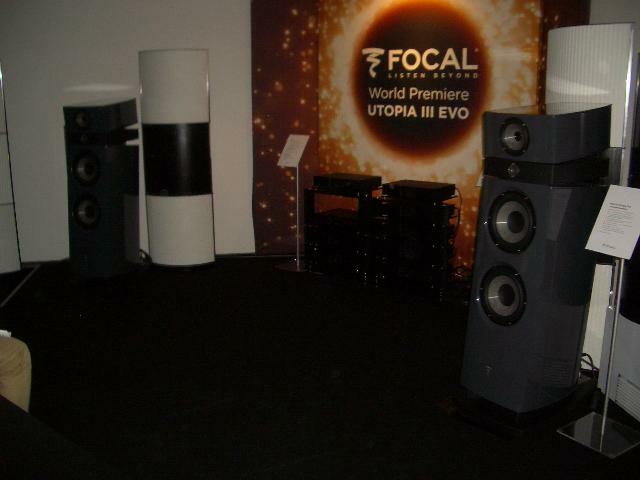 Yet, the exhibited system caught my attention mainly for its loudspeakers, that immediately attracted me with their look, and with their sound. 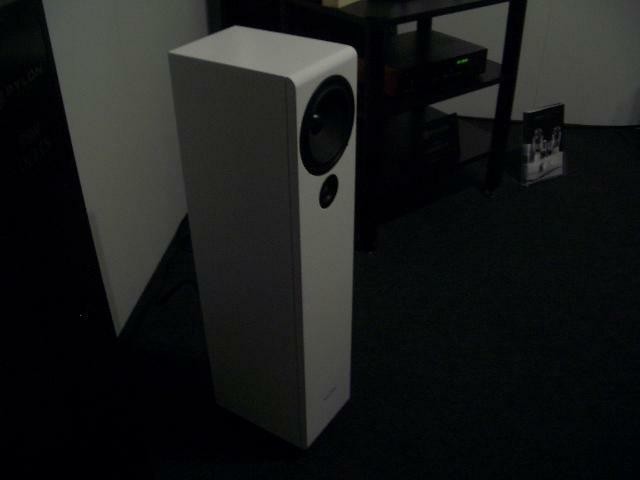 They are the Calliope, an EUR 10.000 loudspeaker by Xavian, a brand whose other models have been reviewed by this magazine. 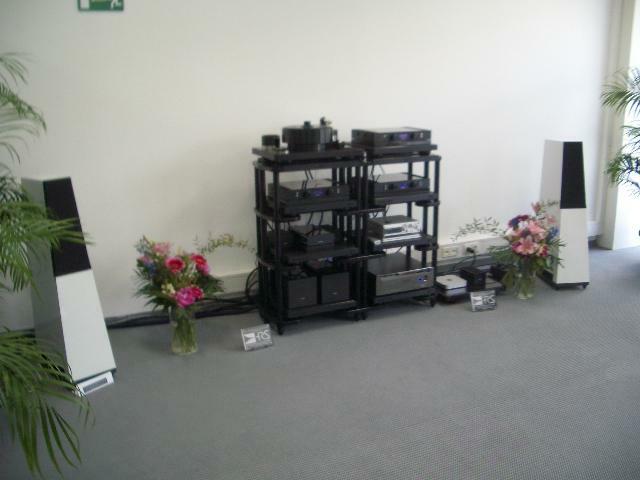 The system showed in this room consisted of Odeon loudspeakers from Germany and tubed amplifiers by New Audio Frontiers from Italy; the digital source was provided by Aqua Acoustic Quality, also from Italy. Aqua, in particular, exhibited their La Diva transport and their Formula DAC. The latter is a NOS/ZOS "ladder" DAC, a topology now enjoying new popularity, maybe also thanks to the improved manufacturing process for the calibrated resistive network needed to implement it. 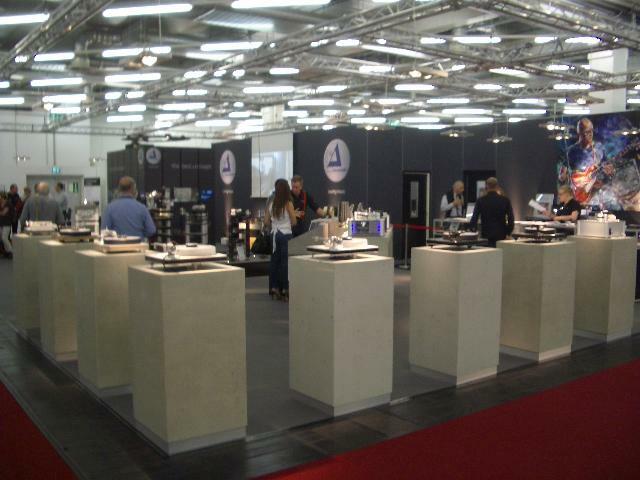 Two DSD aces exhibited at the same stand. 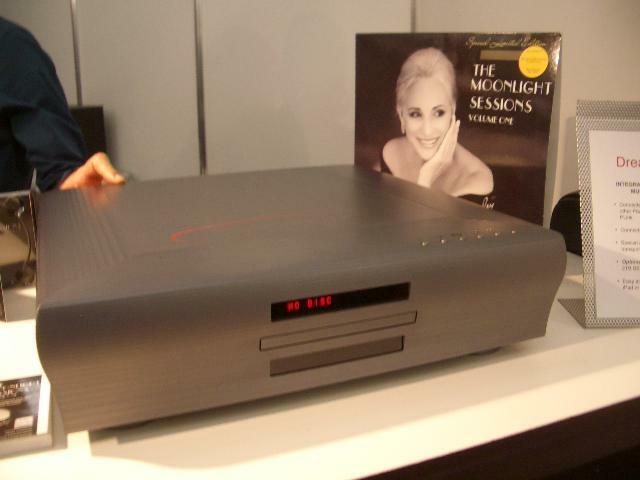 and the Dream DAC MPD-8, for USD 22.000, that sports native conversion of both PCM (up to 384 KHz) and DSD (up to 4x DSD), analog volume control, etc.…. On the other side, Sonoma Acoustics, a company founded by people coming from Sony, where they developed the Sonoma workstations to process DSD audio streams, and from the world of hi-res audio productions. 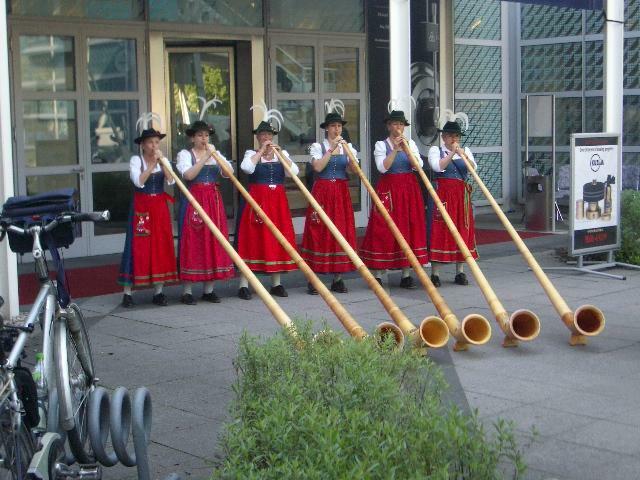 At the fair, they exhibited their "system", for about USD 5.000.
that sport a special vibrating diaphragm. 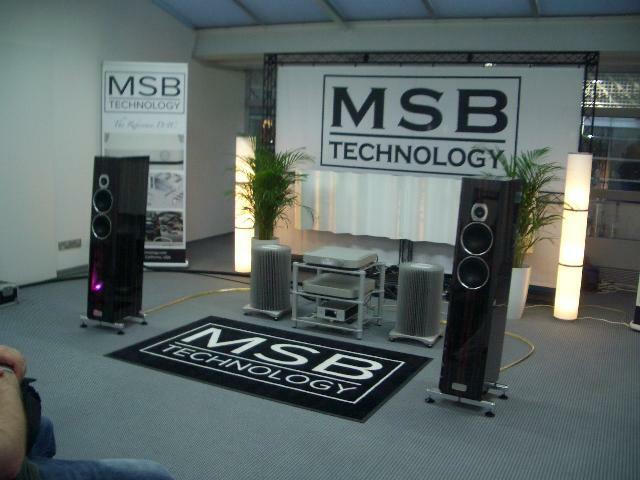 Like all electrostatic panels, also the M1 need a dedicated amplifier to drive them. In this case, the Sonoma system provides an "energizer" that works also as a traditional can amp, with analog inputs (ADC courtesy of an AKM chip) and digital inputs (DAC courtesy of the usual ESS Sabre chip), and also sporting a DSP to process the signal according to the behavior of the special membranes of the headphones. This brand is famous for its futuristic machines dedicated to processing digital audio streams. This year, they exhibited the improved version of their most popular machines, that now form the G series..
We’re speaking about two models. The Aries G2, for EUR 4.200, is a "wireless streaming transport". It can read music files from any source connected via LAN (Gigabit Ethernet), wireless (tri-band wifi), USB, SPDIF (coaxial, optical and AES/EBU) and can send them to the DAC via its Lightning Link, a high-speed proprietary connection traveling through an HDMI cable. 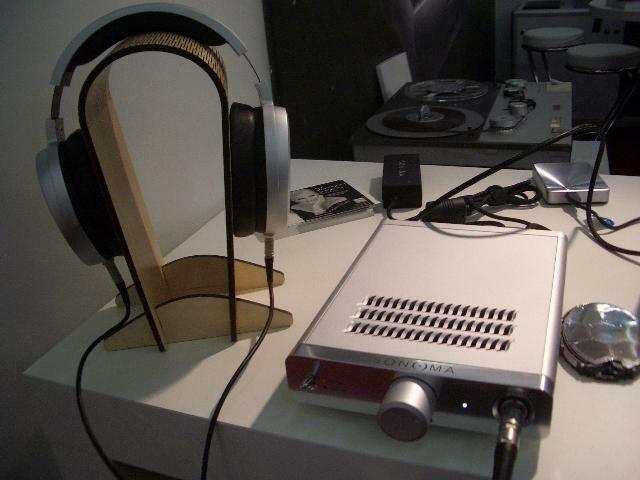 While the Vega G2, for EUR 6.300, is a "streaming DAC", with an identical wealth of digital inputs, and with a further analog input, plus analog outputs, both balanced and unbalanced, driven by a passive analog output stage. Both machines sport galvanic isolation for digital inputs; the DAC can also mount an extremely precise internal clock, independent from that of the incoming data from any of the connected sources. All models can process DSD and DXD files and can play streams from Tidal. In my opinion, the most relevant news was that all this brand’s machines, including their little Aries Mini, are now ROON-Ready. with the top level models center stage. 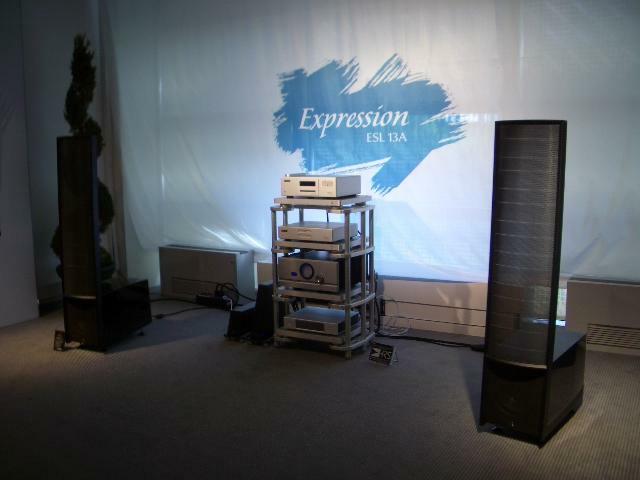 I have already written about this room, when they could finally play Diana Krall music… Now let me show you the front side of that system, voiced with a pair of the gorgeous Giya (EUR 78.000), driven by the stuff from this French company. 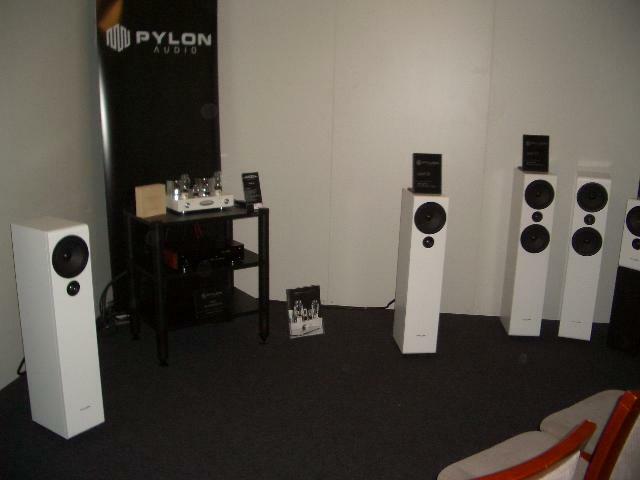 The 16-channel pre/pro Altitude 32 (EUR 24.000) provided multichannel ambience signals; plus, for each of the front Giya loudspeakers, it worked also as their active crossover, feeding a pair of Amplitude Mono power amplifiers (EUR 25.000/pair). Here we have an interesting couple of Canadian products. 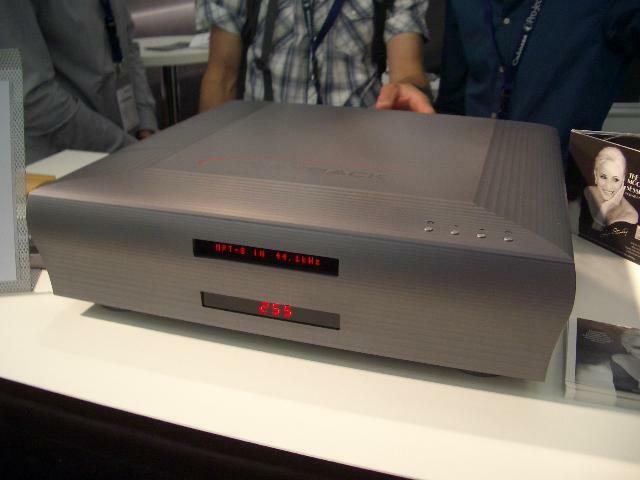 From Anthem, the powerful STR integrated amplifier, for EUR 5.000. It works also as a DAC (from its USB input, it can accept PCM signals up to 384K/32 and DSD signals up to DSD 2x) and as a streamer; it has also – hear this! – an MM/MC phono input. It’s only a 2-channel (stereo) machine, it has a DSP and can perform the famous Anthem DRC (ARC); moreover, it provides two subwoofer outputs with adjustable cutoff. 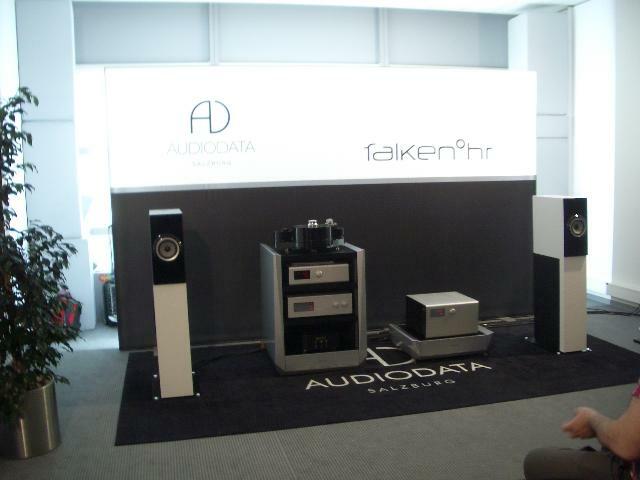 This STR drove the new floorstanders Paradigm Persona 7F, for EUR 13.000 (each…), in this case helped by the powerful active subwoofer Persona SUB, for EUR 7.500. 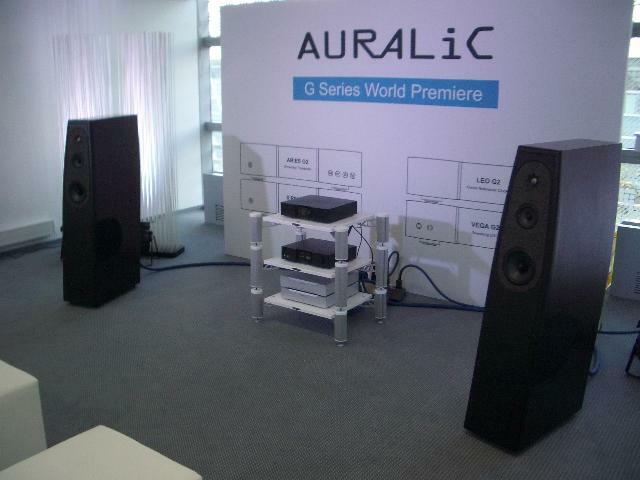 The boxy thing you see near the amplifier is an Aurender server, used as a music file source. The empty – and not good-sounding – room didn’t help. 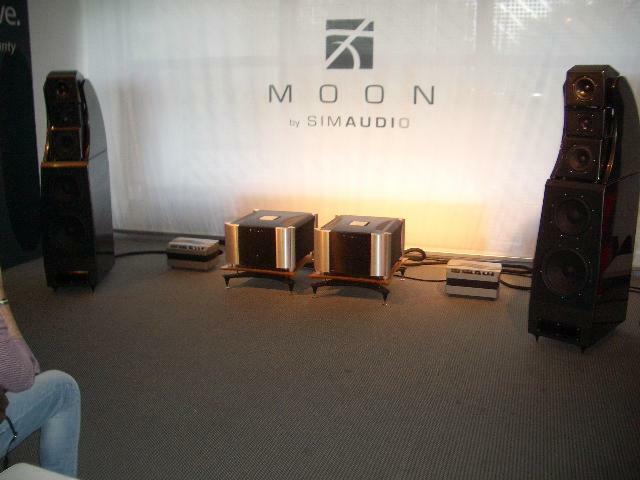 Yet, this system was very interesting, and sounded good even without the subwoofer. 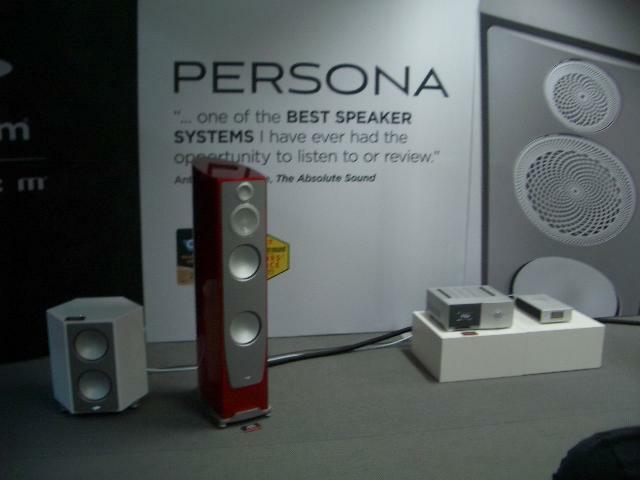 The Persona range has also an upper model, the floorstander 9H for EUR 18.500: maybe with this you can get rid of the sub. Those prices are unusual for those Canadian companies, that have always been appreciated for their "feet-on-the-ground" prices. I don’t know how to read this rise: it can probably be only the desire to appear in a commercial level where they were absent, a legitimate desire to expand their market, to capitalize on their rightly deserved fame. We’ll see if they can obtain the sought after commercial success; for sure, their gear deserves to be auditioned in better conditions. 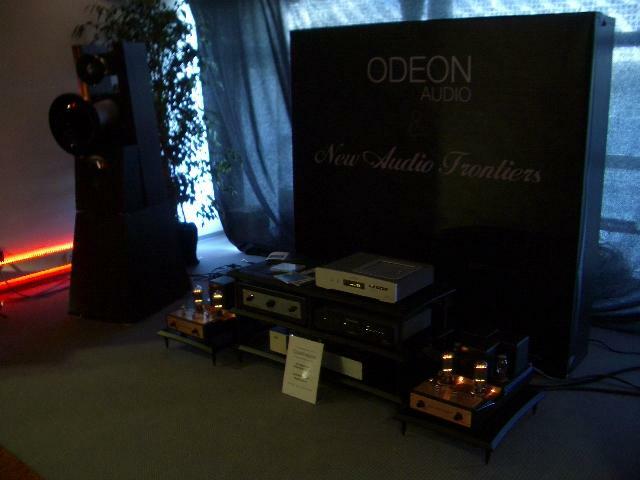 The news from this famous British company was its MX range: the MX-HPA can amp, the MX-DAC, and the MX-VYNL pre-phono. In this case, too, product line innovation follows a trend seen elsewhere: a range of products better than the ones in the very affordable entry-level range, with prices higher, but not exaggerated. For the MX range, we have more refined features than the lesser V90 range. For instance, the can amp is balanced, the pre-phono connections accepts both MM and MC, the DAC USB input accepts PCM 192/24 and DSD 128. Each machine costs EUR 1.000. Is this a shy resurgence of middle class products? I don’t know, but I’m strongly tempted to see a trend, here. As I anticipated in my first part, it seemed to me that the exhibitors’ number increased, this year. For sure, I couldn’t visit every stall in the show. But I visited a great deal of rooms, that I think are nice to mention, here, to tickle your curiosity. 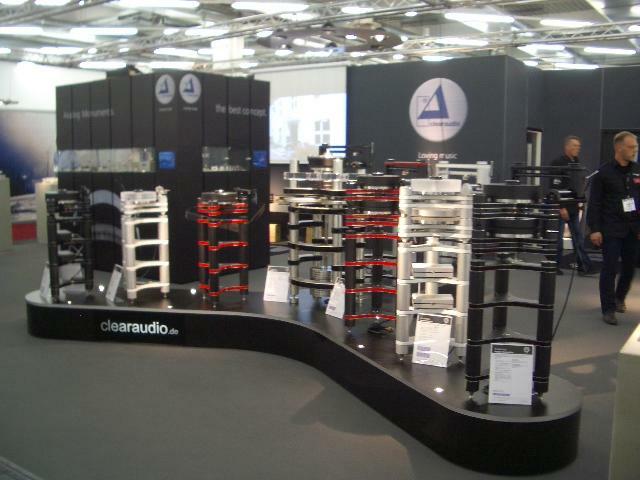 The floorstander 4 CT (it stands for Carbon Tweeter) gave voice to a system consisting of Brinkmann gear, and bears a price tag that, depending on its veneers, reads between EUR 15.000 and EUR 20.000. In Italy, this US brand is not widely distributed, nor their distributors carry all models, but, as I was told, you can always order (pre-paying it…) any model you’re interested in. This system’s sound was very clean, and with a good spatial reconstruction, although the end result depended heavily on the recording. In my case, I listened to the musical selection provided by Sandy Gross, another famous loudspeaker designer, of Polk, Definitive Technology and Golden Ear fame – his loudspeakers are very fine, but unfortunately not well known, at least in Italy. He brought along – and played here – its CD-ROM with the famous needle drops by Michael Fremer (American world-known analog guru) recorded via its superturntable. Not exactly a common playlist. 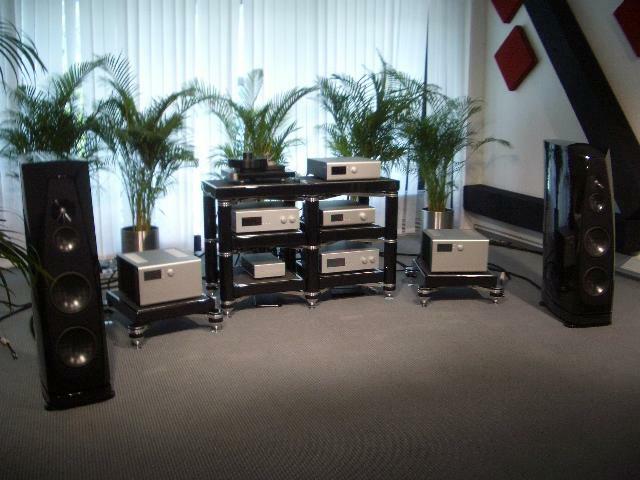 Let’s move on to a system consisting of MARK LEVINSON gear and JBL loudspeakers; both brands are in the Harman group, that was recently acquired by Samsung. 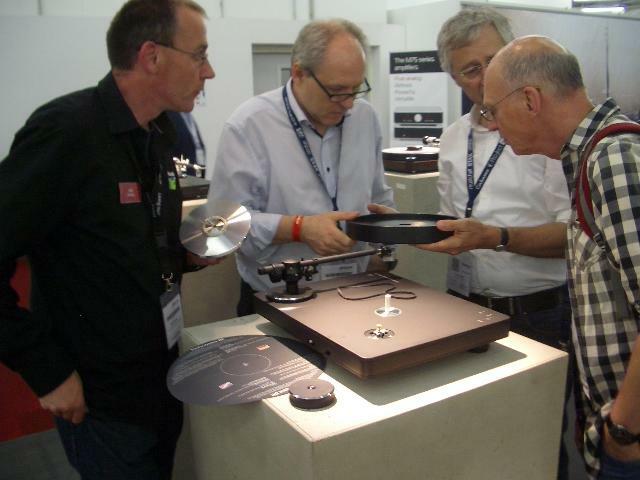 The 515 turntable is made for ML by American turntable specialist VPI, and costs EUR 10.000, with an Ortofon MC cartridge; then, there was the 519 network player/streamer for EUR 20.000, the 526 preamplifier for EUR 20.000, and the 536 monoblocks, for Eur 15.000 each; the loudspeakers were the K2s, for EUR 27.000 each. Unfortunately, I must say that all this expensive hardware didn’t see me enthusiastic. Bass seemed to me too pumped and, played at lower volume, the sound was "switched off". I understand those are only my personal opinions, based on a quick listen during an audio show, and badly described. But that was not a room where I stayed with pleasure, although I admired both these brands. WHAT ABOUT THE RICH MAN SYSTEMS? 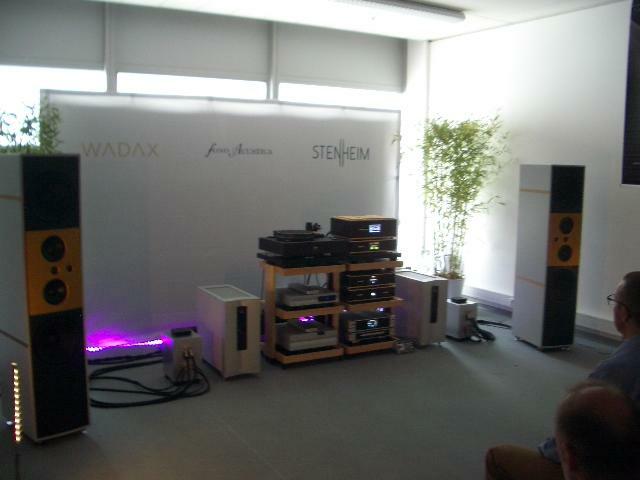 All centered on their new The Reference DAC, from EUR 50.000 up, depending on the configuration modules installed. The MSB guy explained to me that it’s a DAC descending from their Select model, it has 4 Hybrid DAC modules that allow for processing of the digital stream natively for both PCM and DSD. The DAC section output level is so high that they can adopt a passive volume regulation stage; to cap it all, it can do MQA. 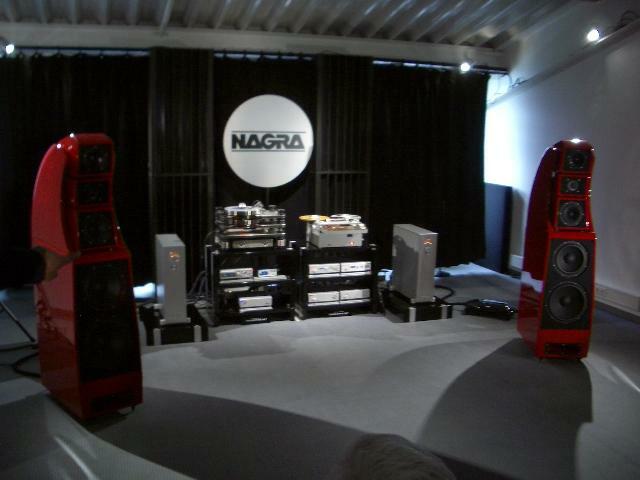 Then, the system by NAGRA, driving the humongous Wilson. 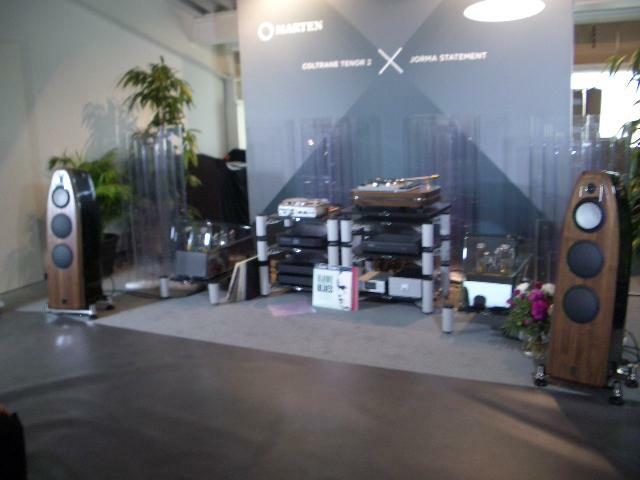 They exhibited the new floorstander Coltrane Tenor 2, for EUR 75.000. Analog source was a Thorens TD124 with Schick arm and ZYX cartridge; all this fed a Whest pre-phono. Digital source courtesy of MSB, and the remaining electronic gear was by Engstrom. 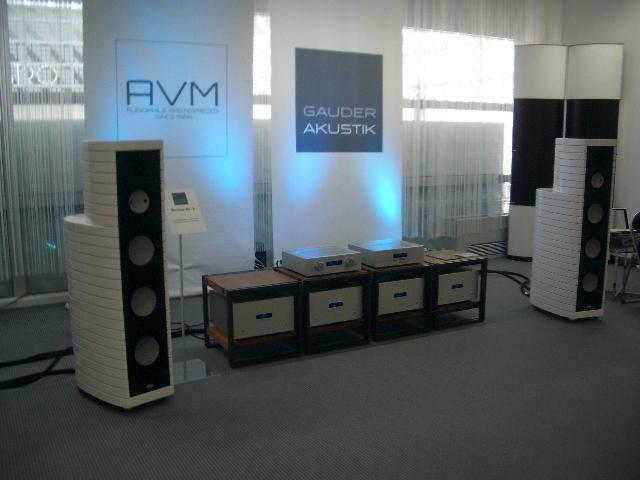 Their ART One loudspeakers (passive version), for EUR 30.000, were driven by Soulution amplifiers. They seemed to me young, enthusiastic and competent; above all, eager to be present on the market with original proposals. They homebrew their own drivers (not all, for now, but that’s their schedule). They want to keep prices, in their opinion, very competitive. We’ll see how they reach many countries, and if the distribution chain allows them to fulfill the promise of keeping low prices. 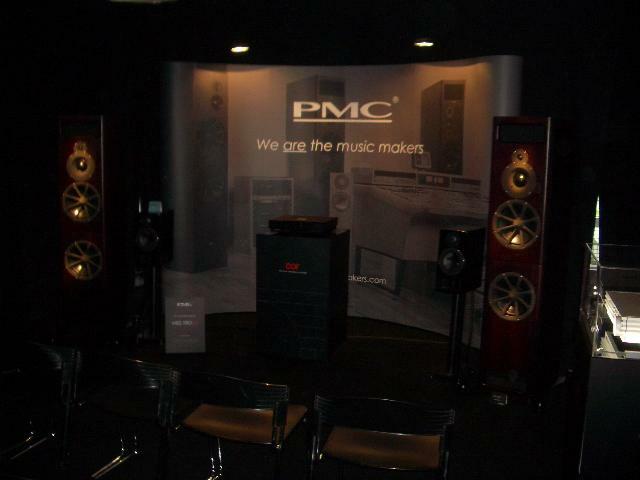 I thought their loudspeakers are well crafted, with good aesthetics; moreover, they offer lots of different models in their catalogue. Sure, they have a rather anonimous look, but it helps with normal room furniture matching. Here's another exhibitor: the Korean SOtM, that showed almost all their products. Its’ a company mainly specialising in gear for computer music: streamers, DAC, USB and LAN interfaces, etc. A demo by AUDIOQUEST about its Niagara power conditioners, held by their Garth Powell, who showed the undoubtful influence on sound of their various remedies to clean and stabilize the electric power that feeds our systems and that, fundamentally, is the support for every signal that they process. The demo was very well performed. Powell was also very kind and keen to answer all the questions, even my dumb ones. The Niagara range consists of three models, of increasing power and efficiency: the 1000, for EUR 2.500, the 5000, for EUR 4.500 and the 7.000, for EUR 9.000. 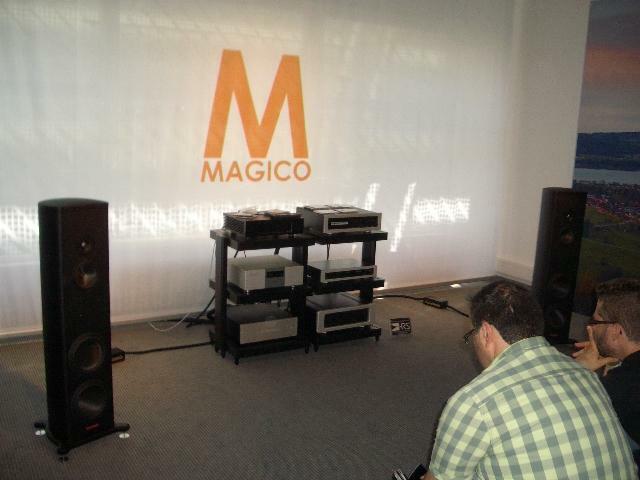 Very competently hosted, as usual, by Johan Coorg, the demo for KEF & ARCAM was crowded. 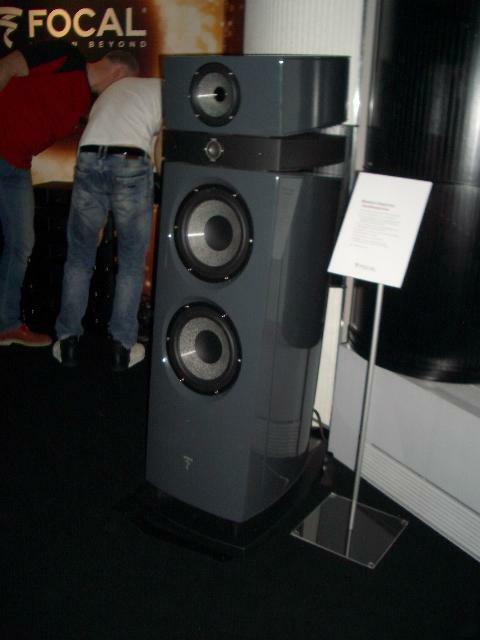 This year, I was intrigued by KEF floorstander Q950, for EUR 1.500. 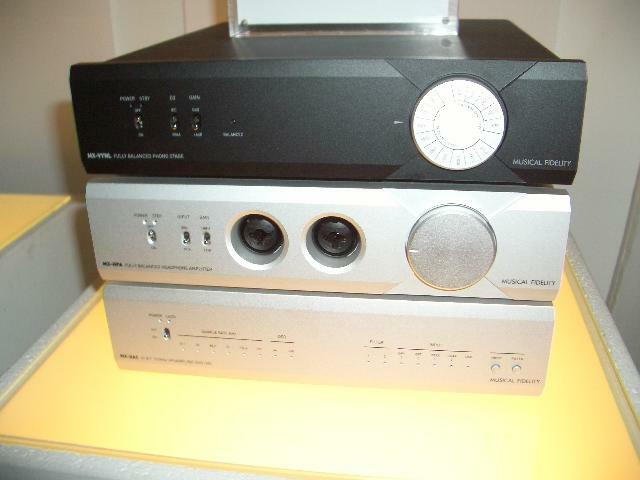 Moreover, Coorg told us that now all ARCAM’s multichannel integrated amplifiers feature room correction by DIRAC. 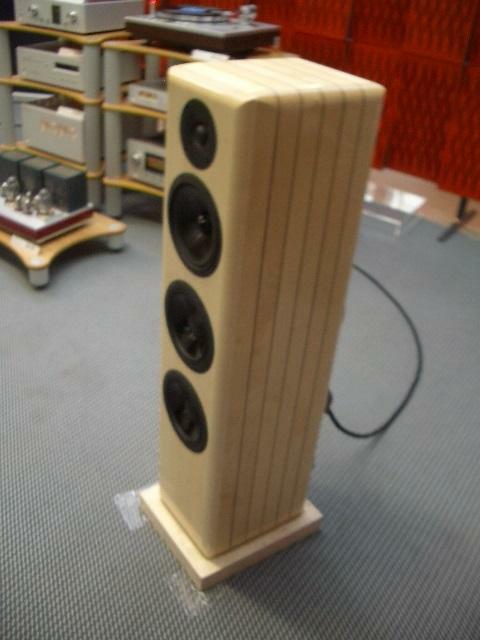 From the cold Denmark, here’s a rookie loudspeaker manufacturer. 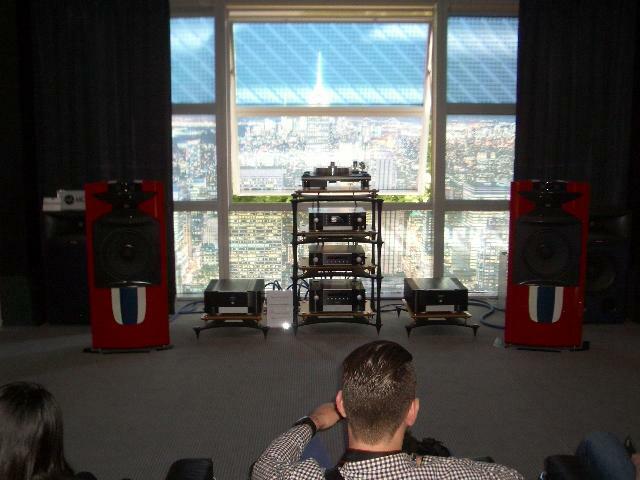 Interested by the presence, in their room, of Ole Lund Christensen, an engineer of Gamut fame, I met JERN. They produce loudspeakers whose cabinet is a single piece of cast iron – their parent company is a very famous Scandinavian foundry. Their production process, the material they are made of, and their shape, all is designed to obtain the best damping and to get rid of edge diffractions. I heard their standmounter Jern 14 ES that, if I didn’t misunderstand, should cost EUR 2.300. I invite you to visit the provided link to this producer, so that you can appreciate the organic shapes of these loudspeakers. Another crowded demo was the one held by CONVERT TECHNOLOGIES. They produce the famous Plato, an all-in-one machine that can be configured in many ways. 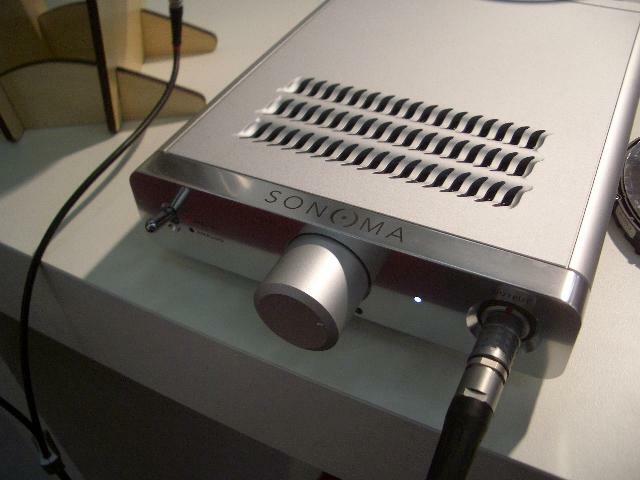 It can be a preamplifier, a pre-phono, an integrated amplifier, a network player, a streamer, a DAC, etc…. This year, this company showed also their TEMPUS, for EUR 12.000, that substantially is a much improved Plato. 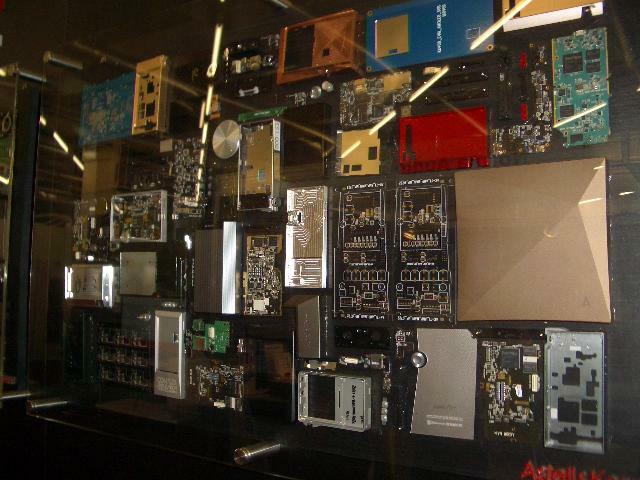 They improved the electronic parts, they designed a new software, and they provide better cabinet aesthetics. Another particular feature was an Android app, that helps vinyl ripping, creating both the digital audio file and its metadata. It recognizes the track, searches for it in the Gracenote Dbase and attaches to the ripped file the data that it has found. The app can be installed for free, and you pay "as you go", depending on how many tracks you record. Finally, I want to tell you about an uncommon thing. Its’ not a piece of gear, so I don’t have pictures for you. It’s a software suite, so I can only point you to the link of the XIVERO software house. The application that attracted me more than the others is their Musicscope, a virtual microscope that analyzes the real content of your music file. It can also show its crest factor, its dynamic range, the spectral distribution of its music content, its quantization bit number, the Lissajous patterns, and so on. In other words, it’s a program that can show if the high resolution file that we bought actually contains a high resolution recording, or if it’s just a high-res envelope containing a recording made at standard (or worst…) resolution. For instance, if you see that its content sharply cuts off at 20 KHz, it means that the recording was originally made (or was digitally transferred…) at standard resolution and then converted increasing the sampling frequency and the quantization word, mathematically filling (with some zeroes…) the further samples available thanks to the file’s new high- resolution dress. The guy at their booth told me that it is a tool that, at least in Germany, can provide such a definite proof of this that it could be used even in a court trial. So, based on this software's results you are entitled by the law to ask for a refund if the track sold as high-res is, in fact, just a standard resolution music file... provided the seller wasn’t smart enough to place a disclaimer in its selling contract ;-). Thanks to the observation by Gilberto Morando, a very smart member of our Italian mailing list, this program is not the only way to obtain this result, for which you can use free resources on the web (starting from some AES papers…); yet, this software is very well done, easy to use and decidedly affordable (about EUR 30). Moreover, still thanks to Gilberto, I can tell you that Xivero sells lots of other software, with diverse and interesting functions. For instance, they produce a software that optimizes the efficiency of the FLAC compression, which could be useful when we rip our CDs ….